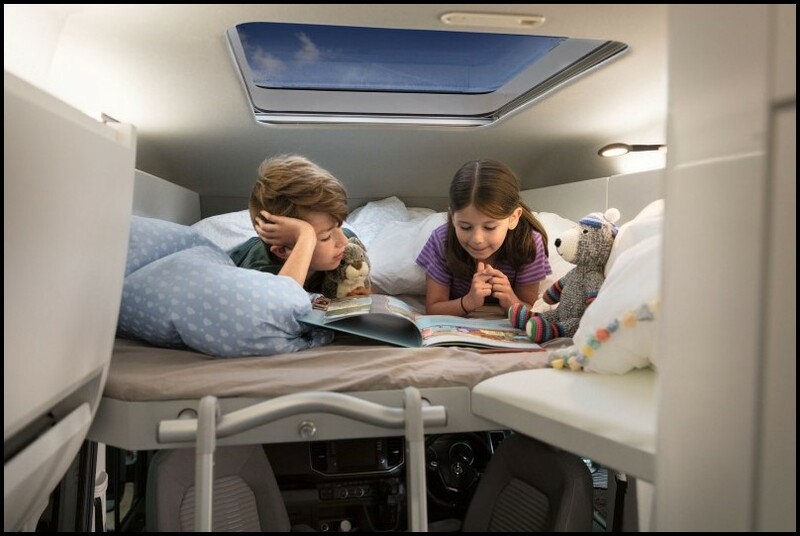 Derived from the California XXL concept unveiled in 2017, the 2020 VW Grand California is a new motorhome that has all the equipment of a good camper. 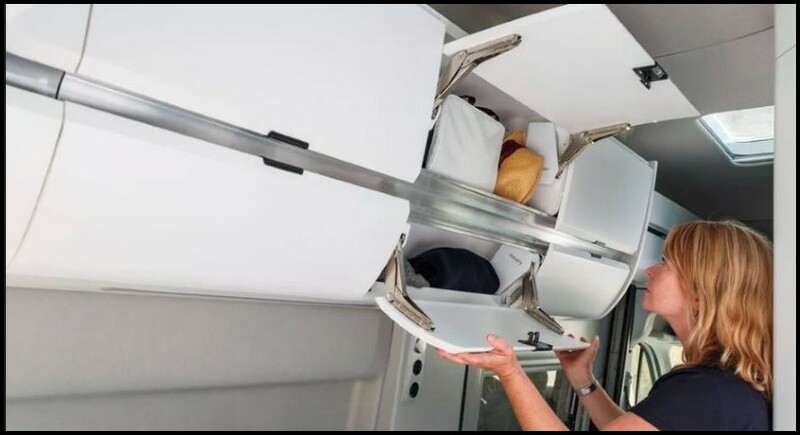 It will be unveiled at the Caravan Fair in Germany and launched in early 2019. 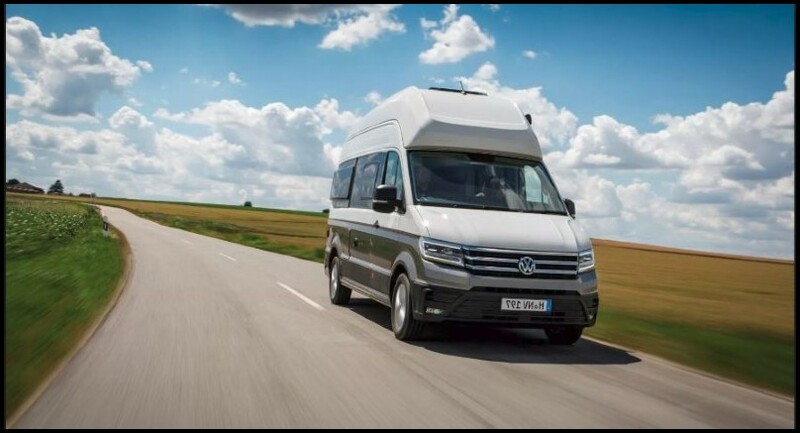 Volkswagen presents its new motorhome, Grand California. Unlike traditional California, which is derived from the T6, this new model is based on the Volkswagen Crafter. It is 6 meters long and takes much of the California XXL concept, which was a great success during its presentation at the Frankfurt Motor Show 2017. 2020 VW Grand California is available with a wide choice of colors, some of which are two-tone, like the photo model that marries the White Candy with the Mojave Beige Metallic. Volkswagen has also treated the design of the raised roof to limit fuel consumption. If the engines have not been unveiled, the manufacturer specifies that a version equipped with the 4Motion all-wheel drive will be available. 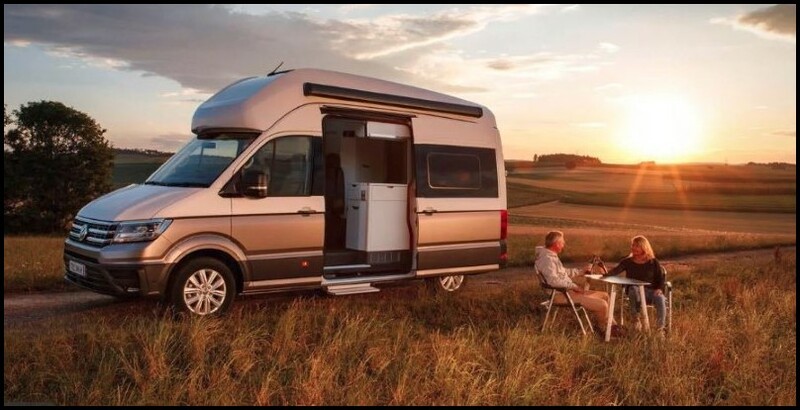 Grand California includes all the driving aids and safety equipment available to the Crafter: automatic emergency braking, reversing camera, slot assist, blind spot and traffic monitoring when backing out. a parking space. This last equipment should find all its interest in such a vehicle. The most interesting in a camper is inside. 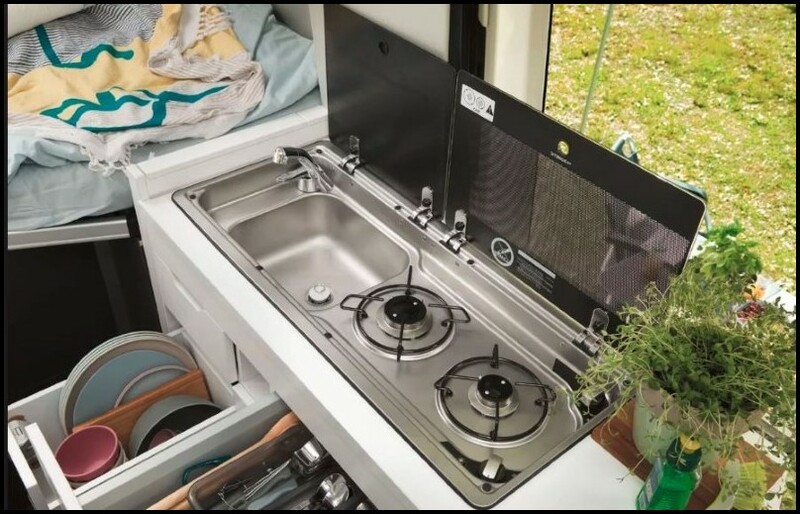 On this point, it should not disappoint campers with its large sleeping area, bunk bed for children, kitchenette with a fridge of 70 liters with freezer compartment, cooktop (two lights) and sink or its large bathroom (840 x 800 mm). The latter has a toilet with an integrated paper holder, a shower, a folding washbasin and an automatic lighting of the light. A connection allows installing an additional shower outside the motorhome. FYI, Grand California has a water tank of 110 liters. All windows are equipped with blinds and mosquito nets. 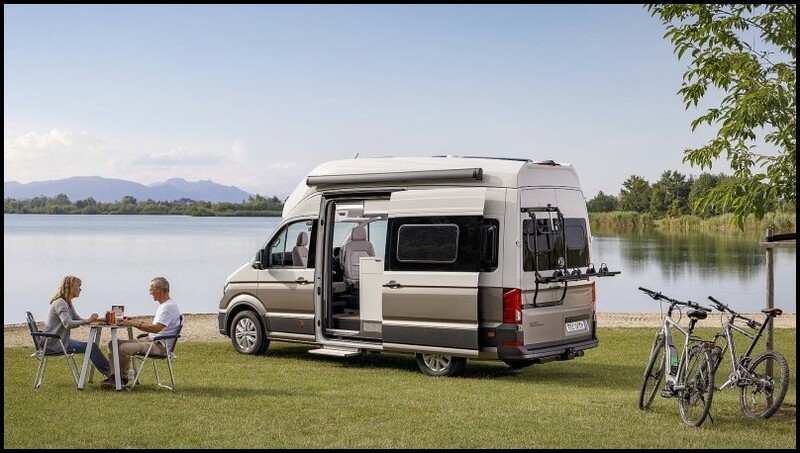 The electric running boards facilitate the ascent and descent in the camper. There is also equipment that will contribute to comfort, such as the heating system running on gas or diesel, the satellite dish to receive television, the WiFi router to use the Internet, a dining table for four people and an audio system controllable from his Smartphone (via Bluetooth) to listen to music.